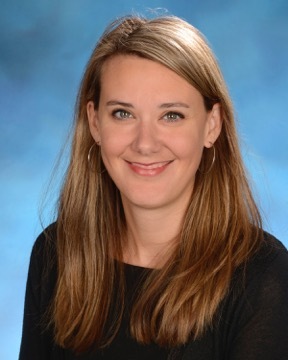 Dr. Isabel “Lauren” Jackson is an Assistant Professor of Radiation Oncology at the University of Maryland School of Medicine and Deputy Director of the Division of Translational Radiation Sciences. Dr. Jackson received her B.S. in Microbiology from North Carolina State University in Raleigh, NC, and her Ph.D. in Pathology from Duke University with a focus on radiation toxicity. Dr. Jackson is a subject matter expert in the area of radiation-related illnesses, with specialized expertise in medical countermeasure (MCM) development for acute radiation sickness and delayed effects of acute radiation exposure. Dr. Jackson’s expertise extends to the planning, preparation, and execution of federal contracts to advance the development of medical countermeasures to product approval through the U.S. Food and Drug Administration Animal Rule regulatory pathway. In addition, Dr. Jackson leverages work in MCMs to bring new products to market to minimize the side effects of radiation therapy in patients undergoing cancer treatment. Dr. Jackson’s academic research is focused on understanding the mechanisms underlying radiation effects in tissue and identify biomarkers that correlate with tissue damage and recovery or failure in patients using state-of-the-art molecular biology techniques, classic radiobiology approaches, “omics” technologies, and computational biology. She has published extensively on the characterization and refinement of animal models of radiation-induced normal tissue injury that recapitulate the response in humans. Models developed in Dr. Jackson’s laboratory have gone on to receive FDA concurrence as appropriate for use in MCM screens for radiation pneumonitis/fibrosis and have since been used to screen MCMs for industry, the National Institutes of Allergy and Infectious Disease (NIAID)/National Institutes of Health (NIH) and Biomedical Advanced Research and Development Authority (BARDA)–sponsored contracts. She serves as Program Director for the BARDA RadNuc Animal Model Development indefinite-deliverable/indefinite-quantity contract at the University of Maryland School of Medicine where she is an Assistant Professor and Deputy Director of the Division of Translational Radiation Sciences.